Burberry is thinking ahead, just as all brands should. Although millennials might not be buying Burberry products right now, they are likely to purchase them in the future. Millennials are a generation that stays extremely loyal to familiar brands. As years go by, and other companies try to become more technologically integrated, aging millennials are going to remember the brands that have appealed to them since the beginning. 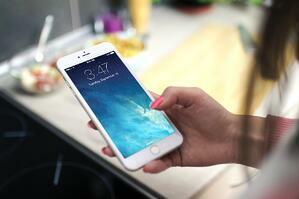 Millennials are extremely influential when it comes to the buying process. Consumers are becoming increasingly dependent on social media for information and reviews before purchasing. Due to this increased involvement on social media, digital marketing is the key to appealing to mass audiences. Millennials are quick to share their thoughts and opinions about their favorite brands, which often influence the buying habits of their peers, family and friends. 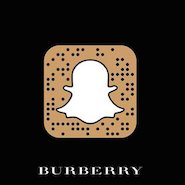 Burberry’s Snapchat story is a great way to stay current in the minds of millennials. Burberry wanted to change its image in order to appeal to younger generations. To do this, it changed its whole marketing strategy to appeal to a digital audience. The brand became increasingly present in the digital world, with an innovative website and technology- based stores. It also became more involved in social media, and remains one of the first fashion brands to use Snapchat to target a younger market. With tripled sales in five years, it’s safe to say the plan worked. Burberry can definitely serve as an example for other brands trying to change their image. The company wasn’t afraid to start a completely new marketing campaign and take some risks. Burberry knows that millennials are some of the most influential critics of brands and products. The company adjusted its strategy to appeal to a younger generation, creating a relationship that will benefit in the long run. 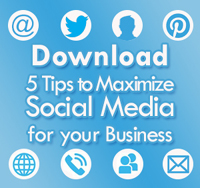 Download our e-Book to learn more about how your business can use social media to its advantage!